Skinny Slender Tall Witch Holding A "Happy Halloween" Banner! Have the biggest display around! Its cool! 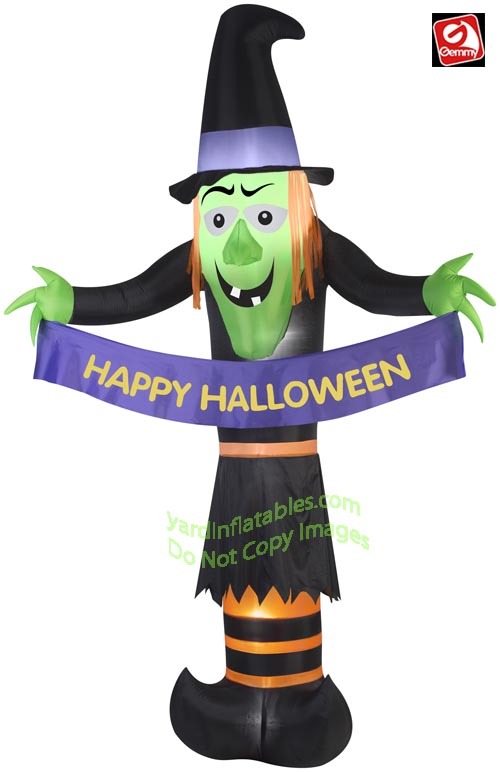 Go BIG this Halloween with this giant, 12' Witch Holding A Banner! This Gemmy Air Blown Inflatable Halloween Decoration comes with built in fan, internal lights to create a glowing night-time display, yard stakes, stand and tethers.